Please help us giving new hope! Although the big NGOs are calling for donations every day to help in many countries after catastrophes or in other urgent situations, we kindly ask you not to forget us and the people in Port-Salut. We try our best to give the people in Haiti long-term help. 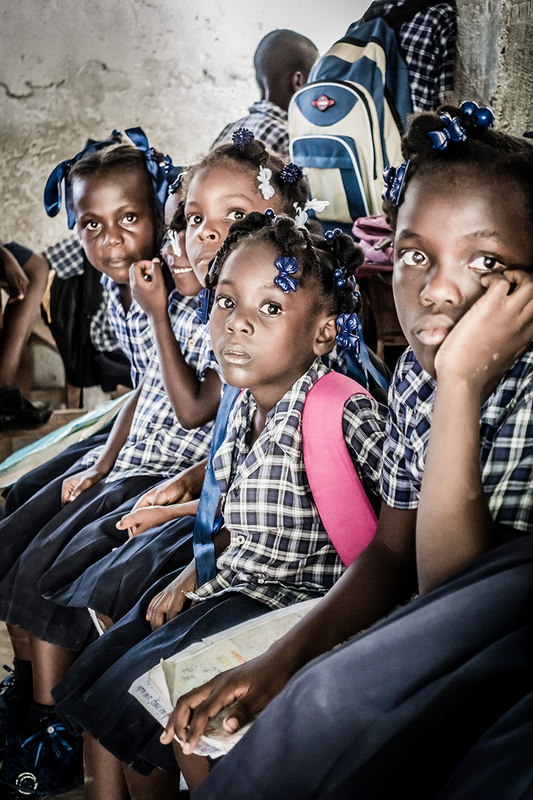 Just the way the founder of Haitihilfe – Heinz Kuehn – began to do more than 35 years ago. We are continuing to help the children, the poor and the elders in Haiti even when the big NGOs have left the country for long and the people of Haiti are no more in the news and minds. But, to be able to give help, we need your support! We travel annually to Haiti to hand out the donations to our pupils as well as to supervise and finance our other projects. Therefore we can guarantee that every Euro you consign to us arrives where it should. It doesn’t matter if it’s 1 Euro or 100 Euro, every contribution counts! Important note: Please make sure to state your full name and address when sending us donations. You’ll then be added to our list of donators and will receive a receipt for your donation. The receipts are issued by our partner organization "Hilfe für Osteuropa Todtnau-Seelscheid e.V.". By handing out your address you agree that your data is transferred to our partner organisation (for issuing your receipt only) and you'll be recorded in our list of donours. You'll then receive information about our projects regularly.